“I ordered police officers to be gentle in speaking with him and in any action taken because there were a lot of children around there,” Gen Wisan said. “I was afraid that he might take a child hostage. The children could have been in danger,” he added. The park, located on the fringe of Phuket Town, was busy today as children started enjoying their school holidays following the end of the Thai school year this week. 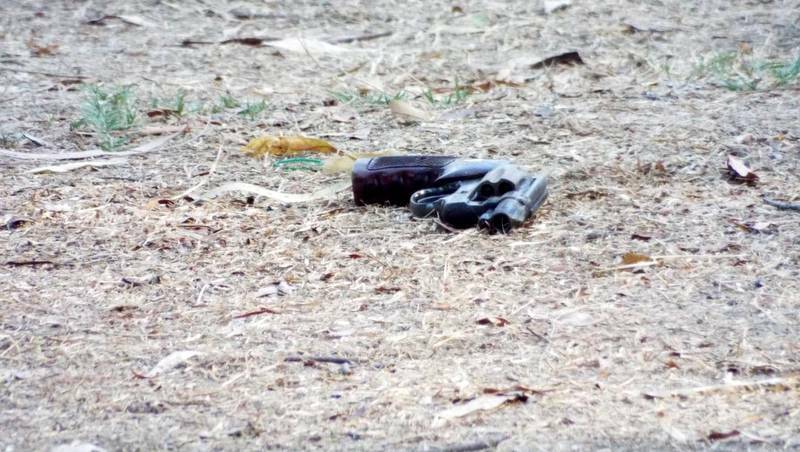 Chana quickly became the prime suspect for the shootings following initial investigations by police this morning. Chana worked at the spa, The Beauty Spa on Wirat Hongyok Rd in Wichit, where the shootings took place. One of the two people he shot was 73-year-old South Korean national Kwanghee Kim, the father of the owner of The Beauty Spa, Mrs Eun Mikim, Capt Ratthanachai Siengsanoh of the Wichit Police explained earlier today. The ensuing manhunt saw officers raid Chana’s rented room in nearby Moo Baan Saphan Hin earlier this afternoon. 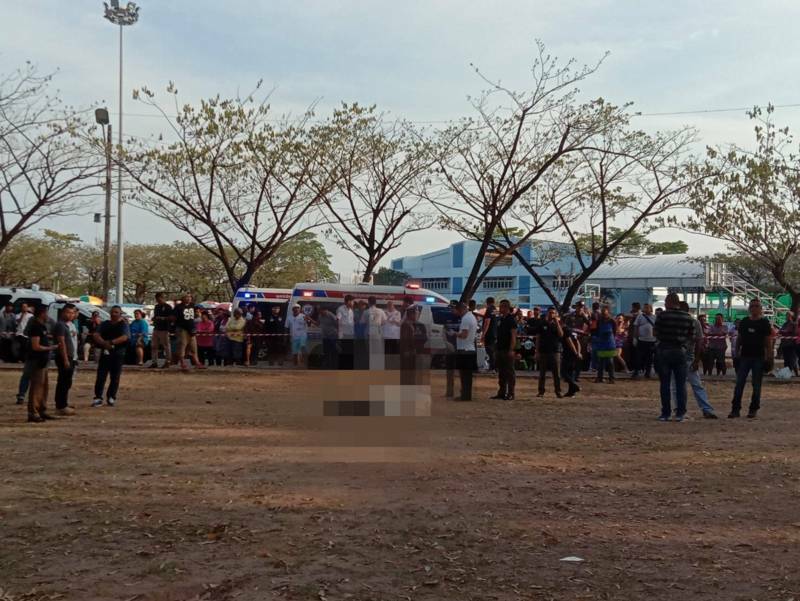 However, Chana was not at home and the manhunt continued until police later confronted him in the Saphan Hin Public Park, on the grass near the open basketball courts, within earshot of the main car park where the popular food stalls are set up to cater to park goers. 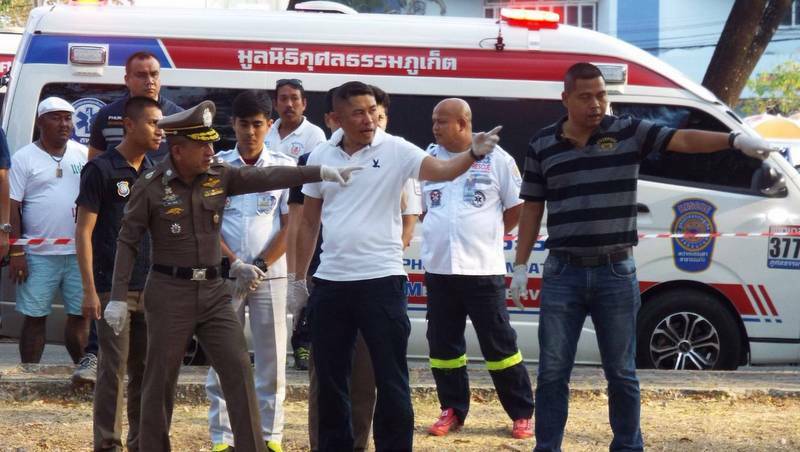 “Officers tried to negotiate with him to surrender, he refused and shot himself dead,” Lt Col Prawit Ang-chuan, Chief Investigator of the Phuket Provincial Police, told The Phuket News. Police have yet to reveal a motive for the shootings or the suicide.